4k00:16Control panel for the production line. Manufacture of plastic water pipes of the factory. 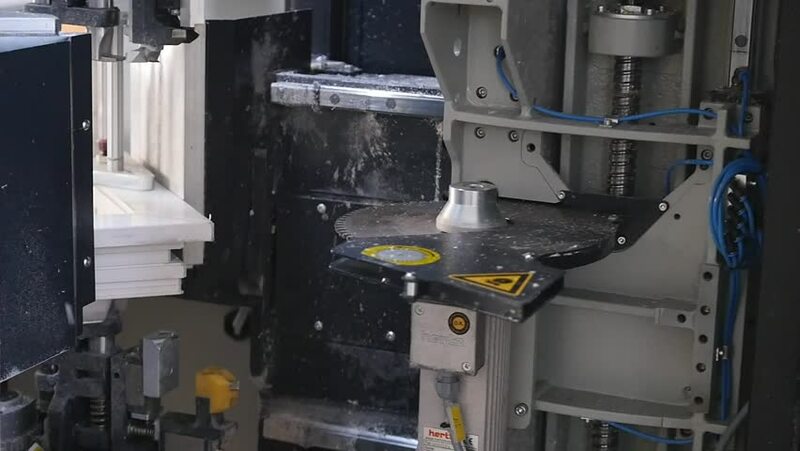 Process of making plastic tubes on the machine tool with the use of water and air pressure. hd00:211950s: Industrial machine with multiple spinning drill bits rises. Hands turn wheel of car while driving. hd00:29A worker is bringing a long board and he is placing it on the machine. Then one part of the machine opens and a worker is observing the production process. Wide-angle shot. He is also wearing gloves.